"An opera composed by Jommelli begins on the 30th. We have seen the king and queen at Mass in the royal chapel at Portici, and we have seen Vesuvius, too… Madame de Amicis is singing at the opera. We have been to visit her. Caffaro is the composer of the second opera, Ciccio di Majo of the third…". "… the opera here is by Jomelli; it is beautiful, but too discreet and old-fashioned for the theater. Madame de Amicis sings incomparably… The theater is handsome. The king …always stands on a stool at the opera to appear a little taller than the queen. The queen is beautiful and courteous…"
Mozart was only 15 when he wrote those letters; he was in Naples with his father as part of a tour of Italy to further his musical education. Naples was of extreme interest to any composer of that period because it was the home of the fine conservatories as well as the most beautiful theater (San Carlo) in Europe. Also, it was the birthplace of the most popular form of musical entertainment of the eighteenth century, the Comic Opera. If your view of opera is that is necessarily entails death by consumption, jumping from high places, getting stabbed by your lover or, in the case of much of Wagner, being pecked to death by mythologically huge swans, you will be happy to know that such has not always been the case. Those of you with funny bones will appreciate that the record for the longest encore ever played at the end of an opera was a repetition of the entire work! 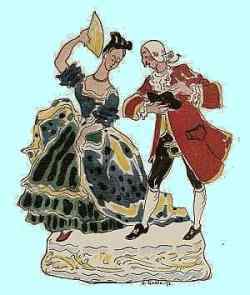 It was in 1792 and the work was a comic opera entitled The Clandestine Marriage by the Neapolitan composer Domenico Cimarosa. It was premiered at the Burgtheater in Vienna, and as noted, the Emperor liked it so much that he ordered dinner for everyone before having the company do the whole thing again. By the early 1700s, opera, the musical theater, in Europe had reached somewhat of an impasse. It was musically confusing, unable to decide on priorities between plot and music, often sacrificing everything to mere vocal virtuosity. And it was often dreary, still based, as it was, on the same Greek mythological themes that had given rise to the original melodramas of Monteverdi a century earlier. The balance between the importance of music versus the importance of text had shifted from text (where it been in the late 1500s) to music; that is, after a century of the powerful musical influence of Monteverdi, there was no doubt by 1700 what was more important —music. One thing had to happen to keep melodrama from dying of all melo– and no drama: restore meaningful text; give people stories they could enjoy. One way to do this was to restore the literary value of the typical tales of classical mythology. This happened in the person of Metastasio, the greatest Italian librettist of the 18th century and one of the finest Italian poets of that century. His Didone Abbandonata from 1724 marks the rebirth of real poetry in the Italian libretto. Another way was to turn to more modern stories and set them to music. Enter the Neapolitans, who began livening up evenings at the opera by inserting light–hearted little interludes called "intermezzos" between the acts of the more serious stuff. They broke up an evening of Achilles or Ajax or Opheus with a few minutes of fluffy domestic farce set to delightfully singable melodies. Alessandro Scarlatti's Il trionfo dell'onore, given 18 times at the Teatro dei Fiorentini in 1718, is chronologically the first comic hit of this newer light-hearted fare. From there, an entire school of composers dedicated themselves to such music. (Also see other composers and the series on obscure composers). In 1733 Neapolitan composer Giovanni Battista Pergolesi's La serva padrona (The Maid Mistress) was produced. In 1749, some years after the composer's death, the opera swept Italy and France, literally revolutionizing the musical theater. (In 1741, the Comic Opera as comic intermezzo had ended when King Charles III decided it was inappropriate to have such folderol break up Greek tragedy. Put that stuff in a separate theater, he said. They did, and the independent Comic Opera was born.) In 1760, Niccolò Piccinni wrote the music to La Cecchina on a text by the great Venetian playwright, Goldoni. That text was based on a very popular English novel, Pamela or Virtue Rewarded, from 1740, by Samuel Richardson. Many years later, Verdi, himself, called La Cecchina, the "first true comic opera"—that is to say, it had everything: it was no longer simply an intermezzo; it had a real story that people liked; it had dramatic variety; and, musically, it had strong melodies and even strong supporting orchestral parts including a strong, almost "stand-alone" overture (i.e. you could enjoy it as an independent orchestral piece). From then until the end of the century, many of Europe's best-loved composers were Neapolitans working within the framework of the comic opera: Pergolesi, Paisiello, Cimarosa, among others. 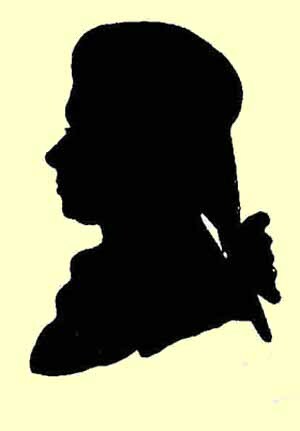 Mozart had come to Naples to listen to the music of these composers and to learn from them. He spent a short but thoroughly enjoyable time in Naples, taking in the sights and, of course, the sounds. He attended the opera, and he gave piano recitals of his own, during one of which, so the story goes, the young genius was required by the public to take off a ring he was wearing just to show that it wasn't magic and that he could still play without it! Like every other musical form that Mozart touched, he perfected the comic opera, too. His own works have so overshadowed the music of his Neapolitan contemporaries that of the literally hundreds of comic operas produced in Naples in the latter part of the 18th century, perhaps the only two still in the standard repertoire of opera companies elsewhere are two mentioned above: The Clandestine Marriage and The Servant Mistress. The contemporary Neapolitan composer and musicologist Roberto de Simone has dedicated much of his activity to reviving a number of these 'lost' Neapolitan comic operas. They are generally well-received, but music that has to be revived will probably never again find a permanent place in the musical consciousness of the public. In a certain sense, we have become addicted to the passions of Romanticism. We will never be able to listen to this delightful music of the 18th century without first filtering it though our knowledge of 19th and 20th century music. We'll never appreciate it the way Mozart did when he was here. He heard it fresh, and he liked it. It was something he could work with.